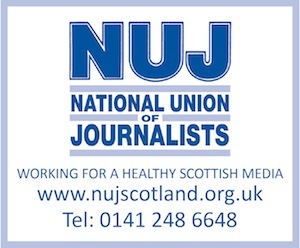 A WELL-known stalwart of the National Union of Journalists in Scotland is on the shortlist to become the editor of the union’s in-house magazine, Journalist. Frank Morgan – until relatively recently the Father of Chapel at the Daily Record, where he is a sub-editor – is among eight hopefuls for the position, which has become vacant following the imminent retirement of current incumbent, Tim Gopsill – after 21 years at the title. The position is voted on by NUJ members and ballot papers go out next week. Morgan was prominent in one of the most protracted industrial disputes in the Scottish newspaper history: at the Aberdeen Journals. The year-long dispute in 1989 involved the sacking of 120 journalists in a stand-off over NUJ de-recognition. The other candidates are Tim Arnold, Christine Buckley, Michael Cross, Richard Simcox, Stephen David Tilley, Steven Usher and Mark Watts. Simcox contacted allmediascotland.com to say: “I’m campaigning with a pledge to cover more stories in the Journalist magazine and website from Scotland, Wales, and both sides of the Irish border.